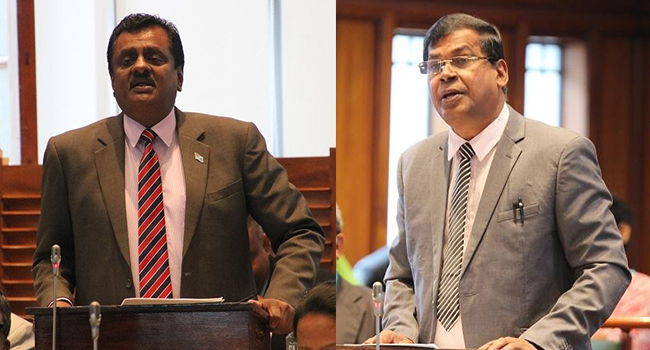 Opposition MP Biman Prasad says Employment Minister Parveen Kumar supported the 1997 constitution 12 years ago however, he has changed his tune today. The NFP leader while labelling the former special administrator of Ba a “Millennial Mayor” says Kumar approved the 1997 constitution a concept that shouldn’t fail and one which allows us to embrace our shared future. Fast forward a decade later, Prasad says Kumar is now happy to serve and sing praises of his leader who abolished the 1997 constitution. “Unfortunately, irresponsible elements who now see their personal and political ambitions derailed by the multi-party government are hell-bent on destroying this concept that is the way forward for this country. Such elements must not be allowed to succeed. They must be told in no uncertain terms that they are living in the past. If they cannot gauge the mood of the nation, they must eat their humble pie. Otherwise they can continue their destructive and divisive attitude at their own peril”. In response, the Employment Minister did not deny this claims adding that its true but the Opposition MP has not told the whole truth. Kumar says Fiji has moved forward with a better 2013 constitution that governs the nation.